This sweet heart deal is just for you! – Superb Internet Blog - Delivering 360° Hosting Experiences – and blogging about it! This sweet heart deal is just for you! Happy Valentine’s Day! For all you lovers of tech, we have a SWEET DEAL just for you. 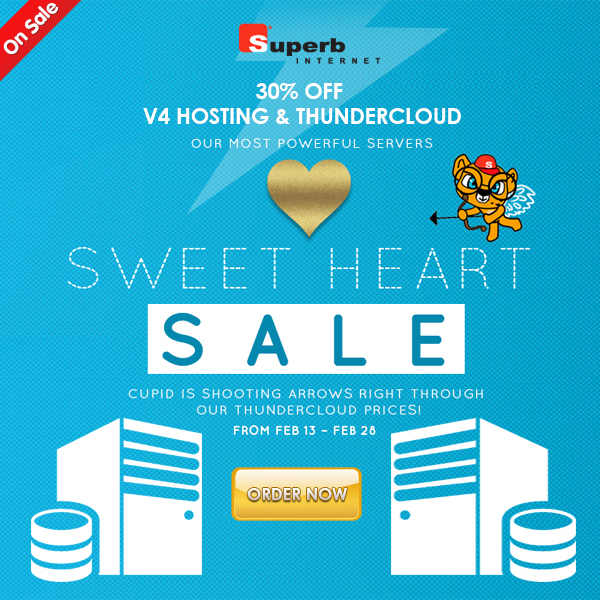 From now until the end of Feb, you can get 30% Off our ThunderCloud and Dedicated Server v4 line. For a limited time only. Next articleQuiz: How does your Disaster Recovery plan score?